I started non-stick cooking with the first T-fal fry pans and it remained my brand of choice for decades but a few years ago, I turned to other brands in search of premium non-stick finishes. I've been very curious of late to see how T-fal pans have changed over the years. T-fal non-stick pans have changed tremendously over the years. While I did expect to find the pan food-safe with no lead, no PFOA and no cadmium, it's the stainless steel encapsulated base and quality hard non-stick finish (in and out) that really impressed me. I like the whole look and design of this pan. The overall shape made it easier to flip certain foods like eggs and pancakes than in pans with steeper sides. The handle is comfortable and non-slip and the stainless base is easy to keep clean. As for performance, the Thermo-Spot eliminates the guesswork as to the pan's readiness especially when searing meats. And the aluminum core in the base makes for even heating and cooking, with no hot spots. The non-stick finish is very nice to cook with and very little oil was used. In fact after cooking bacon, the pan was wiped free of grease and eggs fried easily with no sticking whatsoever. Though the pan is metal-safe - you can use metal utensils in it, I just couldn't bare to use metal in it - chalk it up to decades-old non-stick care. The non-stick exterior makes clean-up a breeze - that's a nice feature. The 12.5" size is ideal for family cooking. You can do one-dish meals and at least 4 or more pork chops or chicken breasts, depending on size. 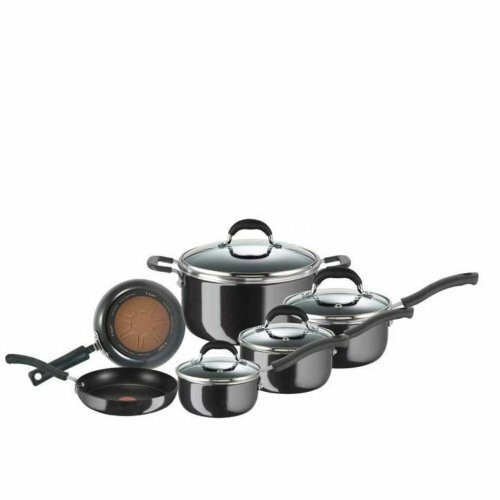 With great cooking performance, easy clean-up and a food safe construction, T-fal Professional Sauté pans offer very good value at an attractive price point. The non-stick finish seems very durable and I would expect it to last longer than some other brands in the same price range. Of course, proper non-stick care is essential if you want to keep it looking nice and that includes care when nesting with other pans. You shouldn't have to worry about the pan warping, given the heavier stainless steel base construction - another plus. Everyone in the household was impressed with this pan - there's nothing to dislike about this T-fal Professional Pan. 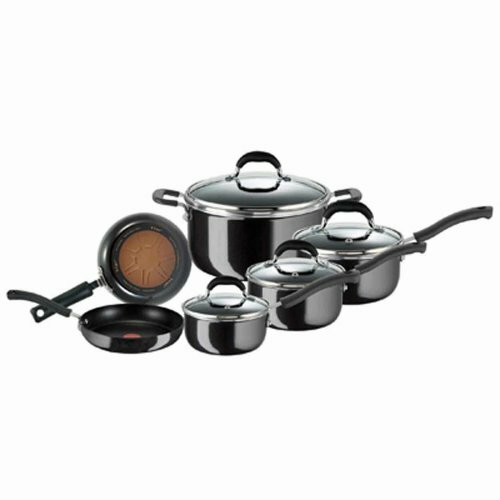 I'd recommend the T-fal Professional line to anyone looking for affordable ﻿﻿n﻿﻿on-stick ﻿cookware. I'm very glad to have had the opportunity to see how these pans have improved over the years and I'll be returning to the T-fal brand and looking for these pans, when it's time to replace my current assortment of non-stick pans. Copyright © 2019 Tools & Gears, All Right Reserved.